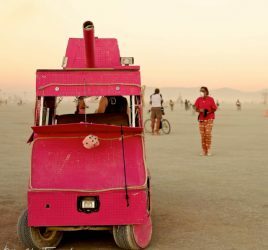 How do we leverage our collective knowledge and begin to form a process of teaching and learning from others about making a positive impact in their communities based on their experiences at Burning Man? 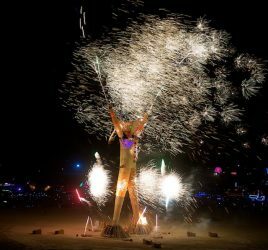 At TEDxBlackRockCity, we aim to create and develop a learning forum where we collectively share and explore ways to connect people and bridge the gap between the Burning Man experience and the “default” world. Establishing a learned and caring community is significant for individual growth. In a caring community, recognition of individual identity and autonomy, common interest, trust and belonging, risk taking and meaning-making play a crucial role. A meaning attractor pulls the whole community together during a time of turbulence, fluctuation, and noise. People who find their lives meaningful usually have a goal that is challenging enough to take up all their energies, a goal that gives significance to their lives. We may refer to this process as achieving purpose. Scientists talk about strange attractors as forces that pull chaotic states into periodic pattern. Perhaps moral purpose is one of those strange attractors. If members of a community are connected through trusting relationships, if they value dialogue and collaboration, if the feeling of ownership and belonging exists amongst the members of a community, if energy exchange occurs among the members freely and openly while respecting the members’ diversity and encouraging innovative ideas, then in such an atmosphere the community will grow constructively and naturally. In this kind of climate the whole system is more flexible and adaptable within the changing environment and is globally more stable. The desire to be cared for is a necessity of life; it is what makes us human. Indeed, a major challenge in any learning environment should be that each person has a caring relation to others. That caring is the very bedrock of successful education and contemporary educational entities can be revitalized in its light. There exists a close relationship between school and society. We believe that the success of our TEDxBlackRockCity program will have a great deal to do with the connectedness with our participant’s life. What is an educated person? And what should TEDxBlackRockCity be sharing with our community? In searching for some possible explanations to these questions, it’s important to point out three essential realities of life. First, each person is unique. For a long time, educators have acknowledged this; however, most educational programs are not designed to affirm individualism. As organizers of TEDxBlackRockCity we must affirm social characteristics of each participant. We must find ways in our program to celebrate the potential of each person. Second, even though each participant is unique, all persons have characteristics that bind them together. Finally, the dichotomy between those that share their ideas and participant is both artificial and can be harmful. We aim to blur these distinctions and make TEDxBlackRockCity a place where we intertwine and grow together. With these realities in mind, TEDxBlackRockCity seeks to design a new curriculum that will help the participants to not only become well informed and prepared for lifetime learning, but also help them to see the world clearly in its entirety, the connectedness of all things. If this endeavor is to touch and change in a meaningful way, we must mirror life itself where change is inevitable, where everything and everybody is connected. No matter how different, no matter how far away, we are all part of a connected whole. It is an important fact that no local division can be found between ourselves, other people and the world around us unless complexity theory teaches us that the world is full of paradoxes where order and disorder mutually coexist, where certainty we create it in our own minds. Chaos and uncertainty intermingle, and where complex patterns emerge out of chaos. To teach is to touch someone else’s life in progress. To be a TEDxBlackRockCity Speaker or Performer is to share human hopes and disappointments with another being. To examine this process is therefore is to study the perennial enigma, man himself in all his grandeur and insignificance. We welcome you to participate in TEDxBlackRockCity — and look forward to seeing you.